I asked Jackie about creating this lovely Angel that is in this month's Angel's Magazine. She replied: "What I found interesting is that Natali told me exactly what they wanted. 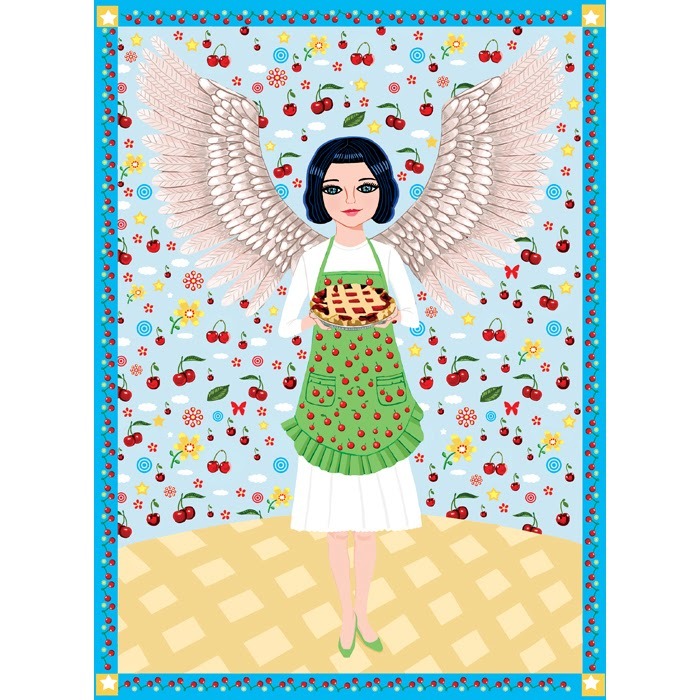 From the cherry apron to the wallpaper to the pattern on the floor to the border and to the cherry pie. To some illustrators that could be a nightmare, but I didn't mind at all. I always love making new patterns for different purposes, and I also wanted to come up with a very sweet face and pose for the body. The illustration had to breathe lightness and goodness, and I enjoyed making it very much." Jackie and Natali make a terrific team!